Get bigger, stronger to become the supreme leader in crowd city! 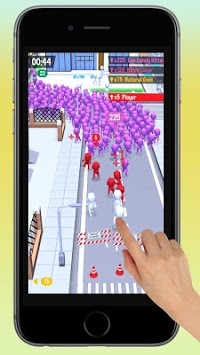 Crowd Popular Runner is the most addictive io game that will keep you hooked for hours! Drag to move, gather people across the crowd city and crush your opponents with your overwhelming leadership! Get bigger, stronger and crush more and more! If you are having trouble finding people to pick up into your crowd, try checking out the buildings in popular wars. Now you have a perfect chance to battle with your friends, classmates and colleagues or anyone else around the world! 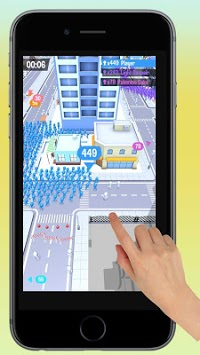 Remember - stickman will follow you only if you win crowd city popular wars. Want to know how it feels to be popular? Then this game is for you! You'll surely love this game once you get how it works! Become the supreme leader in crowd city without any voodoo! 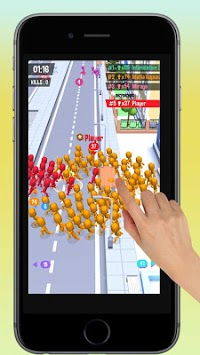 Prepare for a exciting adventure in "Crowd Popular Runner". - All FREE to play anywhere and anytime! - Simple, smart and clear style with smooth operation. - LAN multiplayer team battle. - No network connection can enjoy crowd city too. - Are you a good player? Let's find out!